To: All Concerned for Human Rights in all Human Sights! This is an open letter requesting your help to garner support for my plight. i am currently serving a fourteen (14) year sentence for class B-robbery. i have less than 15 months left on the sentencing judgment. i have completed previously a sixty (60) year sentence. 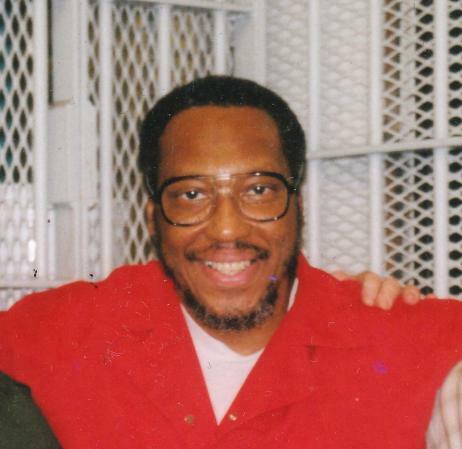 My first twenty-seven years and three months was spent on death row in Indiana. i want to be moved into some type of viable program or positive position for these last few months so that i can effectively earn credit time and additional life skills in preparation for my eventual reentry into the community. i have been held in continuous confinement since August 11, 1981, and i will need more quality time in the reentry program than someone who has served only two (2) or three (3) years, for example. In 1967, the Indiana General Assembly enacted a statute (law), which allowed the development and implementation of a Work Release Program in this state. The purpose of the Work Release Statute is to permit qualified applicants committed to the DOC to participate in a program in which the participant resides in or near his or her home community and is allowed to secure gainful employment or to further educational goals prior to actual release from prison. This type of habilitative or rehabilitative program was expanded in recent years to include a Pre-Work Release Re-entry program as well. The staff people are charged with the duty of assisting people like me in making the transition or re-entry to the community with some type of financial self-reliance. i meet all qualifications for these programs. The crux of my genuine complaint is this: Each prisoner’s success is dependent upon his or her own initiative and ability to practice a high level of personal responsibility. i have properly done just that, and i continue to do the same. i have continued to do everything i am supposed to do under the sun necessary to work my way out of prison, but these prisoncrats always overlook my achievements. i am being held in a dormitory setting outside the Indiana State Prison walls. This is not a true minimum security facility. It is also illegally overcrowded; both the ceiling and floor are not strong enough to carry the extra weight of steel bunks, cabinets, and humans stacked on top of one another. Recently, in 2013, an electrified, barbed wire chainlink fence, topped with coils of razor wire was erected around the building here. I.S.O. not only has a fence around it, but the back of the outer perimeter is marked by a thirty-foot wall and guntowers! This brick building is a two story dormitory with a prisoner population of more than 380. A minimum security assignment constitutes an assignment of a convicted person to a work release center or program, to intermittent service of a sentence, or to a program requiring weekly reporting to a designated official. Moreover, an assignment to minimum security need not involve a penal facility. It is just unconscionable to think these DOC officials can go and do anything they want to confine people in a condemned, overcrowded building because they want more taxpayer money for each bed filled with a warm human body. i would like for you to contact Indiana DOC officials and voice your concerns. i want to be transferred from this place to a real minimum security facility. Thank you for your attention and assistance in this matter. “We are what we repeatably do. Enclosed please find my recent update and press release about my situation. I am down to 18 months now; it will not be as much longer as it has been. I am in the process of promoting myself to bring public attention to my previous literary and visual artistic works, as well as my new book. Not once in all these years did I allow my focus of achieving actual freedom (free mind) and physical liberation slip away from my superlative vision. I would like for you to continue advocating for me. Take good care of yourself. The struggle continues even after We have won! – Earl G. Graves Sr. This coming August will mark the 34th year of my incarceration away from home as a physically free man. Since this travail began in 1981, i have been faced with brutal challenges and decisions, which included new, albeit most of it was unwanted experiences—sights, sounds, smells, touch, tastes; people, architecture; landscape, environment, climate; customs, political views, and different kinds of art. In retrospect, i have found concrete meaning in my depth of personal suffering and height of dignity and knowledge. On June 23, 2015, the U.S. Court of Appeals for the 7th Circuit denied my notice of appeal, certificate of appeal-ability, and motion to proceed in forma pauperis. What i gathered from the federal court’s ruling, among other things, is that they are tired of hearing about my case and no longer want to deal with it. They want it to be gone. Actually, they want me to be gone. The court system is the third branch of political government. After a guilty verdict or judgment is reached in a case, the accused defendant is no longer considered innocent. In fact, the state does not care whether a defendant is actually innocent or not. The U.S. Supreme Court reasoned that after final judgment, presumption of innocence no longer applies. The public needs to be properly advised about the real failure of courts and prisons; they are an extension of the mercantile chattel s1avery system. The ownership of human chattel property was transferred from individual slave traders and plantation owners to the multinational corporate state, and for-profit prisons made lega1 by the 13th Amendment to the U.S. Constitution. My perspective on life is lucid and balanced. i have the ability and capacity to act and to confidently strive to overcome obstacles and accomplish clear goals. We need to be more diligent and proactive to educate and lift one’s hopes and aspirations, to increase the standard of living and the quality of life of the poor and oppressed for empowering economic success, in harmony with the earth, is the political strategy continuum. The vigilante murder of Trayvon Martin and the police murder of Michael Brown, and other targets in like predicaments, showed nothing less than a reckless and callous disregard for human life by somebody who was paid with taxpayers’ money and is sworn to serve and protect the whole community. i foretold of those tragic events in my informative and provocative nonfiction book entitled Riptide, Civil Rights March into the White House. The book meets an important public need. i want the public to be ready to receive it before its publishing release date. It is my uncompromising attitude, however, to never be complacent with any of our past accomplishments. We have a proven track record—protests, rallies, leafleting, art shows, open-mic sessions, court battles, fund raisers, letter writing campaigns, and my release from death row. For i am not taking anything for granted. Few things inspire or motivate people into action like success of victory. Short is the enjoyment of this world. In other words, life is short. There is much more work to do and i have no time to waste! Take good care. Greetings! I hope these few words will find you in the best of health and growing prosperity. Enclosed please find my new press release. I need all the help I can get to disseminate this information. Good people like you have been resolutely in my corner for many years. The litmus test for whoever supports me is action, which speaks louder than words! Any measure of success that I have achieved was accomplished with help from people like you. Nevertheless, I must still fight harder and expend huge amounts of energy trying not to become a bitter man after all these multiple decades of suffering. Thanks a million for everything. The struggle continues even after we have won! I just updated information but will paste here.. fyi.. thank you for your interest.. i just heard from Zolo today – and he requests our help.